IN Round 3 of the West Australian Football League (WAFL) Colts competition, Claremont defeated East Perth by 28 points at Leederville Oval. Below are the best players from the game. The Deanmill product was arguably the Royals’ best midfielder with a team-high 28 possessions, five tackles, three marks and a goal. Sparks often imposed himself in congestion to win the ball for his team and then dish it to the outside runners. Last year’s Past Player and Officials Encouragement Award winner was excellent in the forward half for East Perth. He finished with 12 possessions, six hit-outs, four marks, four inside 50s, three tackles and a goal. His leading patterns combined with his strong overhead marking ability make him a damaging forward prospect. The East Perth wingman toiled hard all day for the Royals with 26 possessions, seven marks, two tackles and two inside 50s. His link-up style of play makes him one of the better wingmen in this year’s WAFL Colts competition. The East Perth key defender showcased why he is considered to be one of the best key defensive options in this year’s draft pool. His positioning in defence was excellent, his knowledge of when to roll off his opponent to intercept the opposition was outstanding and his decision-making was sound. In the third quarter, he snuck forward and took a strong contested mark before booting a goal. The South Bunbury Junior was a standout in the ruck for East Perth in a competitive battle with Claremont’s Callum Jamieson. Montgomerie finished with 12 possessions, 22 hit-outs and five marks to be a presence for the Royals in the midfield. The Belmont junior was dynamic on the half-back line for Claremont with 19 possessions, four marks, two inside 50s and a goal. His electrifying speed, top agility and penetrating skills make him one of the more highly regarded prospects in this year’s WAFL Colts competition. The Christ Church Grammar student was situated at centre half-back, playing on Jaxon East, and more than held his own in the contest. Buller finished with 20 possessions, 10 marks and three tackles, while holding East goalless. Stationed on the half-back line, Cooley offered a calm and composed figure for the Tigers. He finished with 25 possessions, six marks and two inside 50s, often providing excellent rebound from the defensive half. A highlight of his game was in the third quarter, when he grabbed the ball out of a pack and speared it to Jacob Blight, who kicked his second goal. The Fremantle Next-Generation Academy prospect was arguably best afield, displaying traits that would endear him to recruiters. He accumulated 24 possessions, grabbed five marks and booted four goals in a sizzling display. His desire to run and carry and ability to use precise skills makes him one of the most damaging wingmen in this year’s draft pool. The Scarborough junior continued his excellent start to the 2019 campaign with another superb performance, this time against the Royals. He collected 25 possessions, grabbed five marks, laid two tackles and recorded two inside 50s in a powerful display. The younger brother of Geelong’s rising star Jordan, Jye Clark was prolific in the midfield for the Tigers. He finished with a game-high 29 possessions, five marks and four inside 50s in a near best-afield performance. His decision-making and skill execution are elite for someone his age. The North Beach Junior was outstanding in the ruck for the Tigers. In a highly competitive battle with East Perth’s Jed Montgomerie, Jamieson accumulated 15 possessions, won a game-high 23 hitouts, took six marks, laid six tackles and recorded five inside 50s to be one of the best players for Claremont. 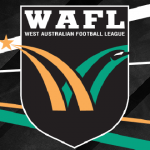 IN tough conditions throughout the round eight action, the cream rose to the top in the West Australian Football League (WAFL) Colts competition as Perth and Swan Districts both claimed wins to jump a game clear atop the ladder. Perth has reinforced their status as the team to beat in the Western Australia Football League (WAFL) Colts competition with a 6.9 (45) to 5.9 (39) win against a brave Subiaco side at Lathlain Oval. In what was a wet round eight of WAFL action, the Demons, led by Brodie Grey (12 disposals, four tackles), kicked three unanswered final quarter goals to pinch the victory. Bailey Smith was fantastic with three goals, while Ryan Malley (11 disposals, four tackles) and Connor Sing (nine disposals, 11 hitouts) were named in the Demons’ best. For Subiaco, Abraham Clinch (12 disposals, five inside 50s and two goals) was named as the best player, while Liam Hickmott (38 disposals), Benjamin Golding (21 disposals) and Jake Mckinnon (15 disposals and 12 tackles) were all named as standout players. Peel Thunder moved into the top four after an impressive 20-point victory over East Fremantle, with the Mandurah side running out 8.11 (59) to 5.9 (39) winners at Shark Park. A team-best display by Tyrone Thorne (16 disposals, eight tackles) saw the Thunder, like Perth, put on three unanswered goals in the final quarter to run away with the result. 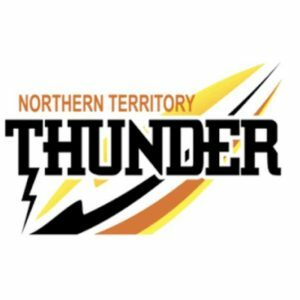 James Sturrock (25 disposals, four tackles), Jake Howes (21 disposals, eight tackles) and Jack Sears (18 disposals, six marks) were all named in the best for the Thunder after impressive displays. For the Sharks, ruckman Nicholas Watson was named best after 24 hit outs and six marks, while Jake Diggle (18 disposals) and Nicholas Patat (22 disposals) rounded out the best players. South Fremantle continued Claremont’s miserly season after a comfortable 8.6 (54) to 3.11 (29) win at Fremantle Oval. For the Bulldogs, Toby McQuilkan was superb with 21 disposals and a goal, as the Souths were never threatened by an inaccurate Tigers outfit. Thomas Weston (11 disposals, seven marks, 10 hit outs), Matthew Ward (19 disposals, five tackles) and Luke Moore (21 disposals, six marks) were named in the best for the Bulldogs. For Claremont, Nicholas Crump was named best afield, while contributions from small forward Jaimie Forsyth (five disposals, three tackles) and Callum Jamieson (nine disposals, three hit outs) drew the praise of coaches. In the final game of the round, Swan Districts pushed itself into second on the ladder, only by percentage, and consigned East Perth to bottom spot with a 11.5 (71) to 6.4 (40) win at Leederville Oval. The Royals did not manage to build on their 6.4 half time score line, as the Swans piled on eight unanswered goals in the second half. For the Black and Whites, Kade Waldrot was a star with four goals, while Jarred Cameron (25 disposals, seven marks), Joel Curtis (24 disposals, one goal) and Nathan Ireland (12 disposals, 18 hit outs) were named in the best. For the Royals, Jacob Msando was named best with 13 dispsoals, while Jordan Hayden (11 disposals, three marks) and Ashley Wilcocks (10 disposals, four marks) tried hard all day.